True high-end quality original cast iron & RED BRONZE finished antique frames with a lovely patina. The frames are showing minor contrasting color variations. Circa 1930. 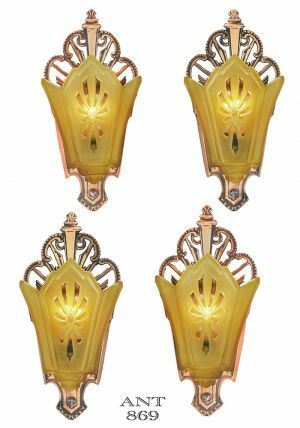 These Art Deco Slip Shade sconces were the only sconces made for this series of slip shade lights. It is difficult to cast reticulated backplates, as any casting man will tell you. 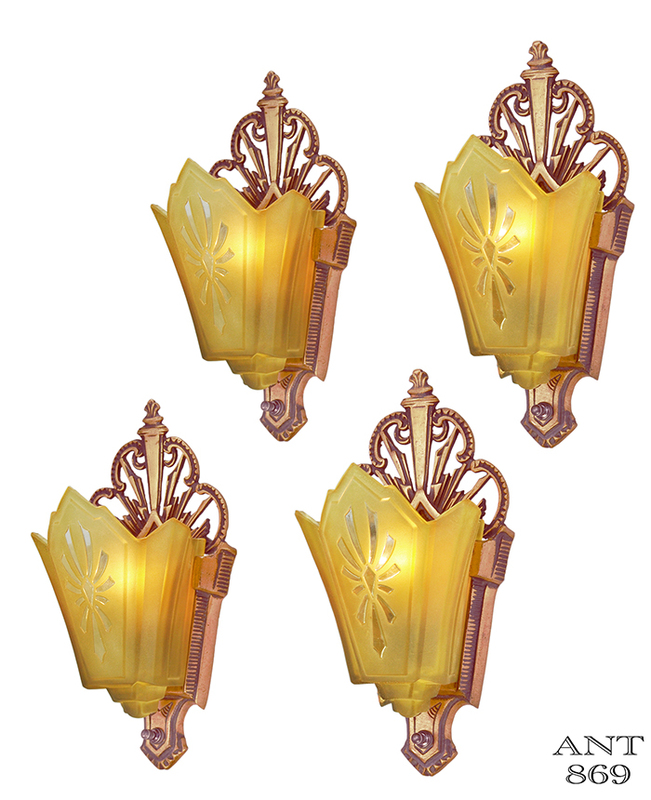 These fixtures are just in such nice condition. The shades, too, are simply in fantastic condition. They have an amber finish with dashes of clear center design. 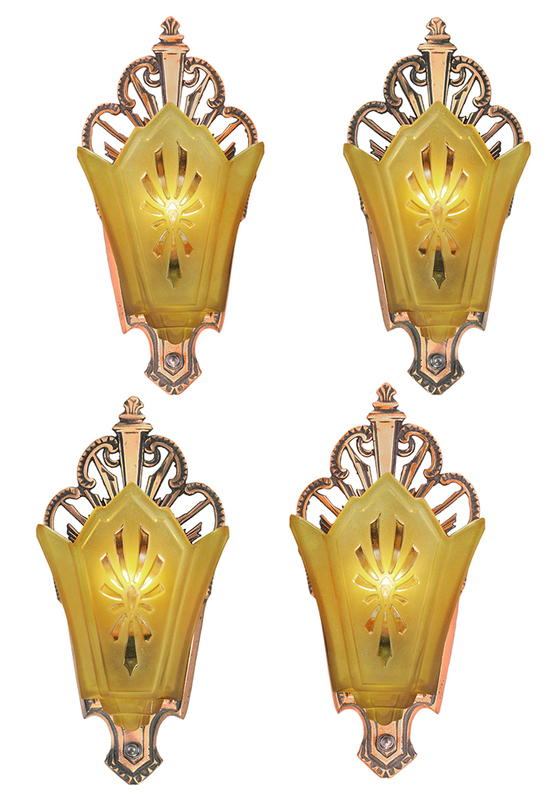 Where can you find a complete set of four slip shade QUALITY sconces like these? Not easy. These sconces have been completely rewired in our UL lamp shop with new sockets and all-new wire. We have also replaced the rotary switches that were originally made by Leviton in the 1920s (and still made up to two years ago). Ready to go...nothing needs to be done except add the light bulbs of your choice. We would recommend our LED candle style bulbs if you prefer ambient light rather than full room power. The ambiance of these is warm, and draws so little electricity (1.6 watts) that we have known folks that leave them on 24/7. Price: $1,750.00 for the set of four antique sconces...completely UL re-wired with cast iron RED BRONZE finished frames and amber shades...plus careful packaging and shipping.